According to ReadWrite and The Verge, HP is working on some new tablets. 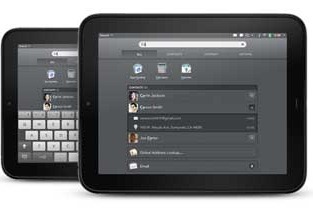 Tablets that run Android. Which is... well, surprising isn't really the world. Interesting? Sort of? Maybe? After the failure of the Touchpad, HP basically had three options if it wanted to get back in the consumer tablet game: Windows RT, Android, or another stab at WebOS. HP allegedly threw out plans for Windows RT hardware in June of last year, and WebOS is an open source husk of itself that hasn't been acknowledged by the company in months. This new rumor seems to confirm it's Android or bust for any new HP slates, at least for the time being. ReadWrite's sources suggest a Tegra 4 chip will power at least one upcoming HP tablet, and that it may be one of the first Tegra 4 devices on the market - meaning we can probably expect it to be announced fairly soon. There are also some rumblings about a smartphone, but I'd take that part with a great many grains of salt. What isn't clear, but also critically important, is how HP is planning on packaging the operating system. After all, the most successful Android tablets on the market, Amazon's Kindle Fires, get as far away from Google services and content as possible. I certainly wouldn't put ruining Android by deforming it into some proprietary monstrosity past HP. And remember, we're talking about the company that gave up on its first tablet after just 49 days. Regardless, the fact that another OEM is reportedly entering the Android tablet foray - especially one as large as HP - is probably good news for the platform as a whole.